The Mahindra Marazzo MPV will be launched in India today. 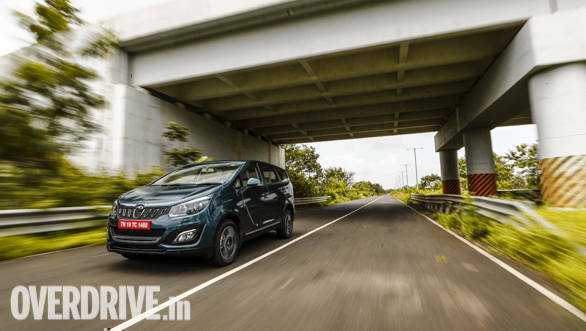 Mahindra dealerships have already started accepting bookings for Marazzo MPV. The booking amount varies from Rs 15,000 to Rs 20,000 depending on the dealer and the city. The upcoming MPV will be manufactured in Nasik, which is a part of the 1,500 crore investment that Mahindra has planned for the Nashik and the Igatpuri plants. The Mahindra Marazzo is the newest premium, seven seater SUV to get launched in the country and also marks the manufacturer's entry into this rather lucrative segment. Given its positioning the Mahindra Marazzo slots into an interesting niche in the segment, in between the Maruti Suzuki Ertiga at one end and the Toyota Innova Crysta at the other. It is powered by an all-new engine that is mated to an all-new gearbox while the chassis is a new body-on-frame unit. Seating is flexible and the Marazzo will offer the choice of either seven or eight seats depending on the configuration chosen. The styling is meant to be distinctive as well, and Mahindra tells us a lot of inspiration for the MPV's design comes from sharks, which is also the inspiration for its name. Stay tuned to OVERDRIVE for all the live launch updates from the venue.